Student Saturday is a day I post reviews written by other students. The review that follows is written by Raymond. 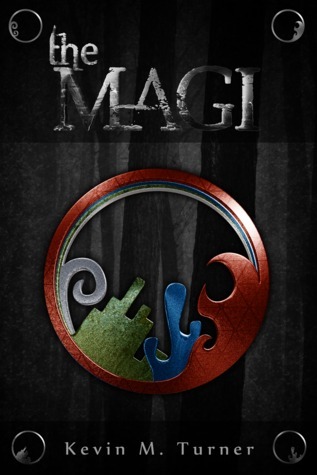 I have been currently reading the Magi by Kevin M. Turner. The characters I know so far are Elijah, Uncle Stan, Kyria, Elijah’s mom and dad, Master Roddick, Chancellor Hawthorne and many others. I could connect the magi to the Show Avatar because each Magi learns the four elements and the Avatar must master all four elements. The setting is at Savenridge. I recommend this book to my brother because he likes reading books involving the elements, water, fire, air and earth. The book is about a kid named Elijah who lost his sister and parents. He went to stay with his uncle but one day his uncle got arrested to he had to be taken to Saint Phillip Academy. Saint Phillip Academy was a cruel place, so Elijah had a hard time there. But, a teacher named Master Roddick was nice to him. Several weeks passed and Master Roddick asked if he could talk to him during the night. They talked about Magi and Master Roddick took him to Savenridge and eventually took a student named Samuel. There at Savenridge, they were learning the way of a Magi. I really like the book because it has may mysteries and lots of action.